Warmth and coziness are just a button away. Just like a wood fireplace, a gas unit lends an element of luxury to any home but without having to go out in the cold winter to bring in wood, place it right, light it and wait for the burning wood to get hot. 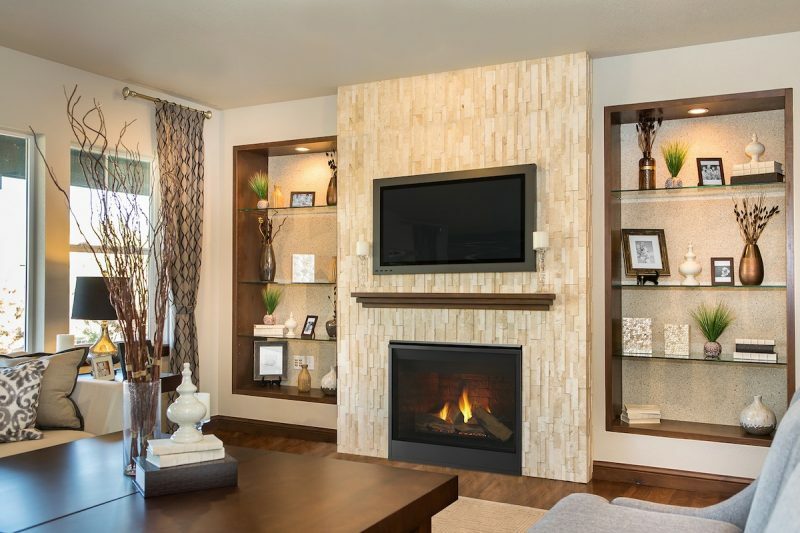 Do you know what is the right type of gas fireplace to your home? 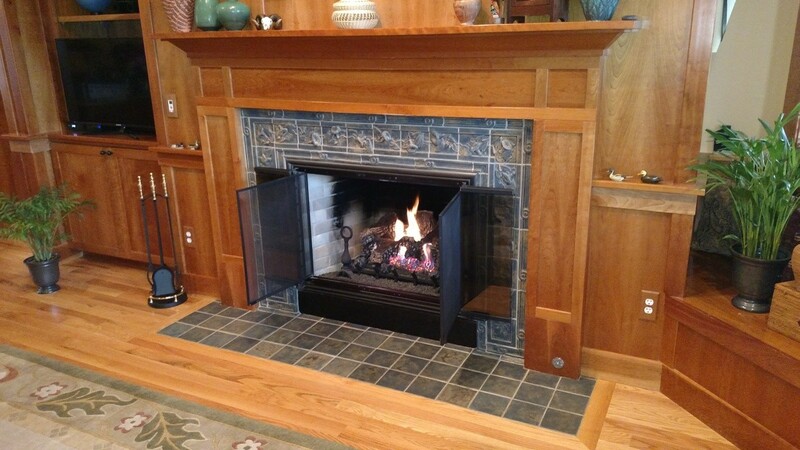 A gas fireplace insert’s job is to resurrect your old fireplace to bring it back to working order. They are designed to be installed into a pre-existing firebox, meaning that one sits directly inside a regular fireplace. There are that are fueled by natural gas and others by propane. Either way, these units often use ceramic logs to deliver the benefits of the appearance of a real wood-burning fire, but without the smoke! A built-in gas fireplace is a perfect alternative for those who don’t want to maintain a wood burning stove and chimney. This type of fireplace is installed as the primary fire source in a wall of your home and has the more efficient compared to wood-burning devices. When the fire is burning, less heat gets cycled out, allowing you to benefit from its warmth. Built-in gas fireplaces can be ventless and directed-vented. Gas log set models are noted as mostly decorative and are best for light use. Gas log sets may be vented or ventless. People who simply want to change over from wood logs to gas logs may benefit from these sets. However, you should know that these alternative does not put out the warmth that the inserts or built-in models offer. There are also requirements your home has to meet to have a gas log set installed. Log sets are ideal for those who want to add a bit of ambiance to a room. These beautiful devices combine all of the features and benefits of the other three choices. The only difference is that they are basically stoves that sit on your floor, or in a corner near a wall, or wherever you desire to add warmth. They are operated by running a gas pipe to them for power, and they sport the same ceramic logs as other devices to create a rustic feel. Regardless the type of gas fireplace you select, you will acquire a clean, convenient, and cheap device to operate. No matter which type of gas fireplace you choose, you can find the best brands at Hi-Tech Appliances. We only sell the best brands major appliances, and outdoor products in Colorado. Please browse our website to get inspired.